John Regis British sprinter signed 10x8 inch press photo. 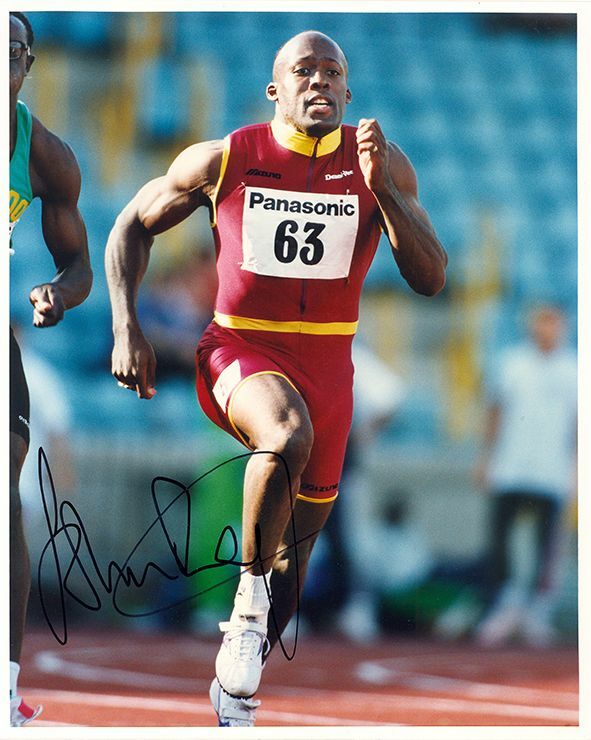 10x8 inch colour press photo circa 1993 personally hand-signed in black sharpie pen by British sprinter, John Regis. Regis won gold medals in the 200m at the 1989 World Indoor Championships and the 1990 European Championships, and a silver medal at the 1993 World Championships. 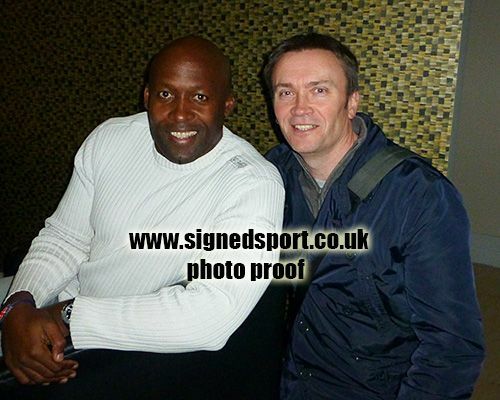 He was a member of the British teams which won the gold medal in the 4 x 400m relay at the 1991 World Championships, and the silver medal in the 4 x 100m relay at the 1988 Olympic Games. Regis is still the British 200m record-holder, which he set in 1994.